A famous success quote by Jim Rohn declares “You are the average of the five people you spend the most time with”. I believe that to be so true. 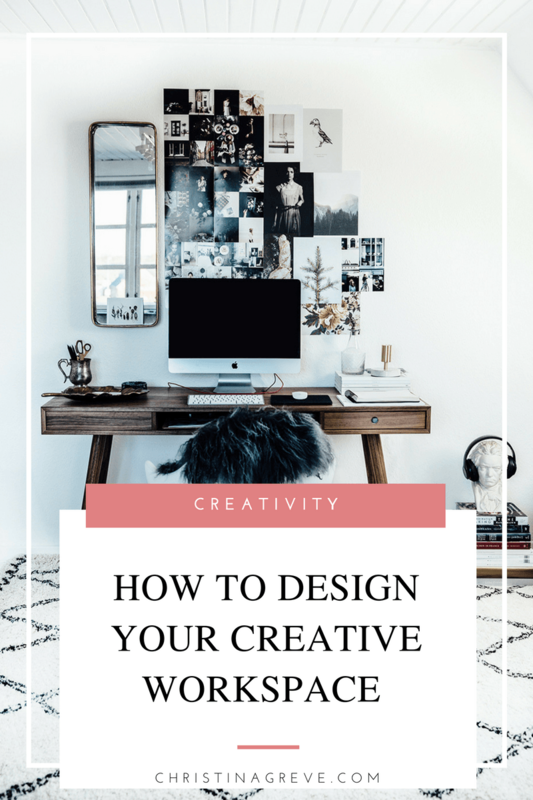 When I decorate workspaces I use a similar way of thinking; the workspace you place yourself in will impact how productive and creative you are. In other words; how you FEEL when you enter your workspace and sit by your desk will determined if you will get things done and be full of ideas or not. There´s no right or wrong way to decorate your workspace because we are all different and like different styles. What´s important is that you honor your taste, your passion and your style. 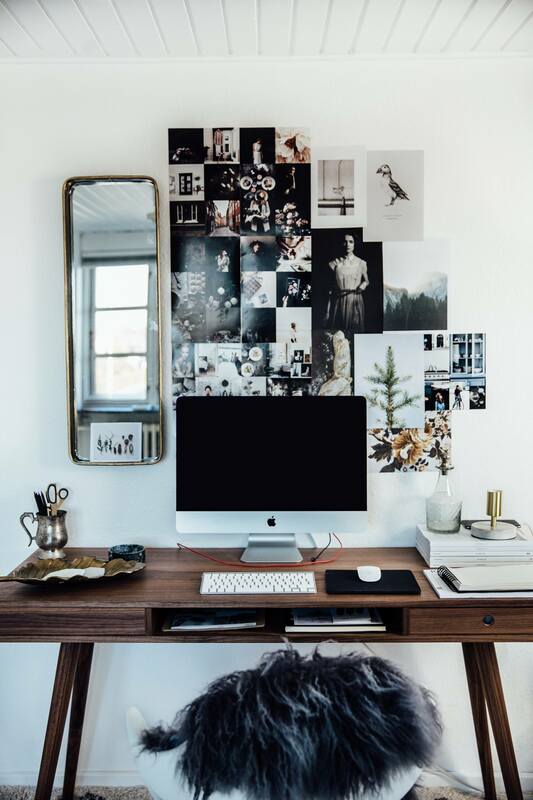 Your workspace should make you feel awesome, inspired, joyful and comfortable, so you can become a happy productive creative. 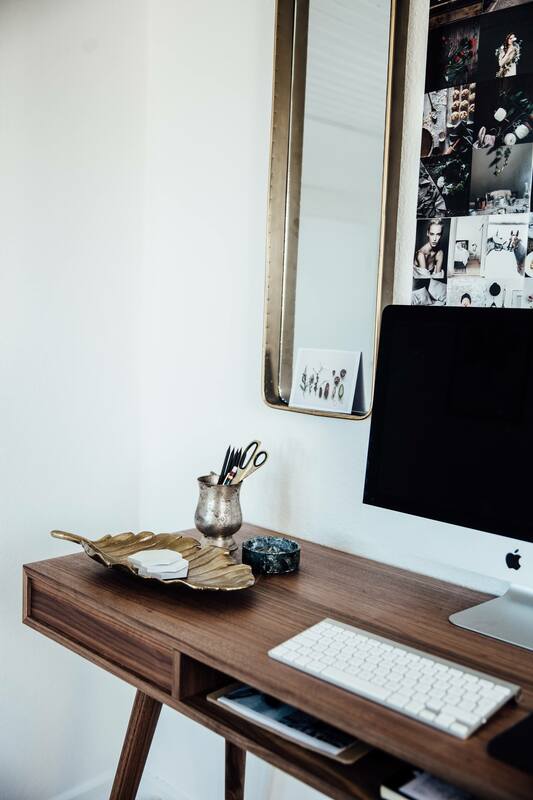 In this post I´ll share pictures of my two newly decorated workspaces. 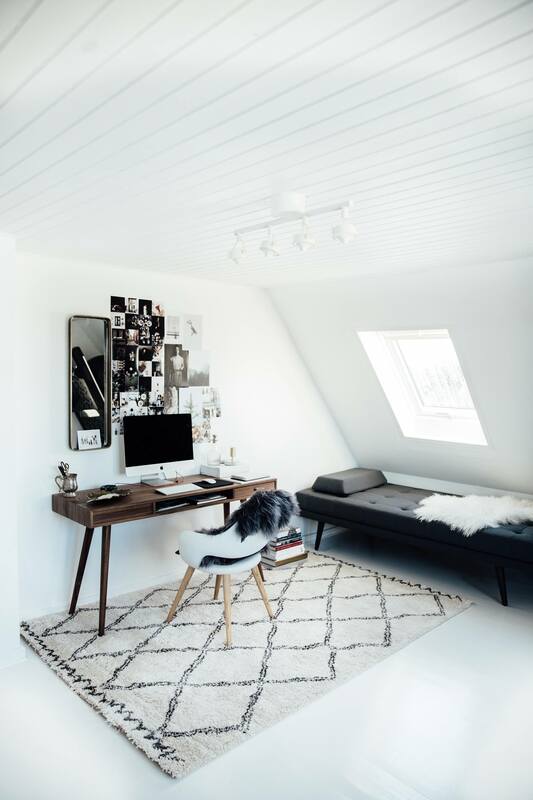 I divide my time between two homes, one in the countryside in northern part of Denmark and one in the city of Aarhus – therefore I have two work areas. 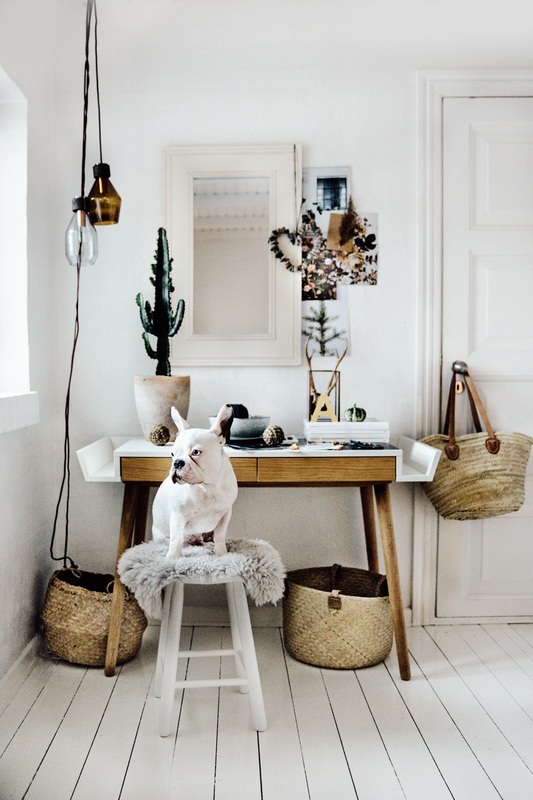 My workspaces are also separated from my prop and photo studio, as I like to work close to my family and my two dogs when I´m writing and editing. I love that I can join a conversation, hug my kids, and jump to the coffee machine whenever I need a refill. Somehow it makes it easier to be a mom-preneur. Write down 3-5 key words on how you wish to feel about your workspace. 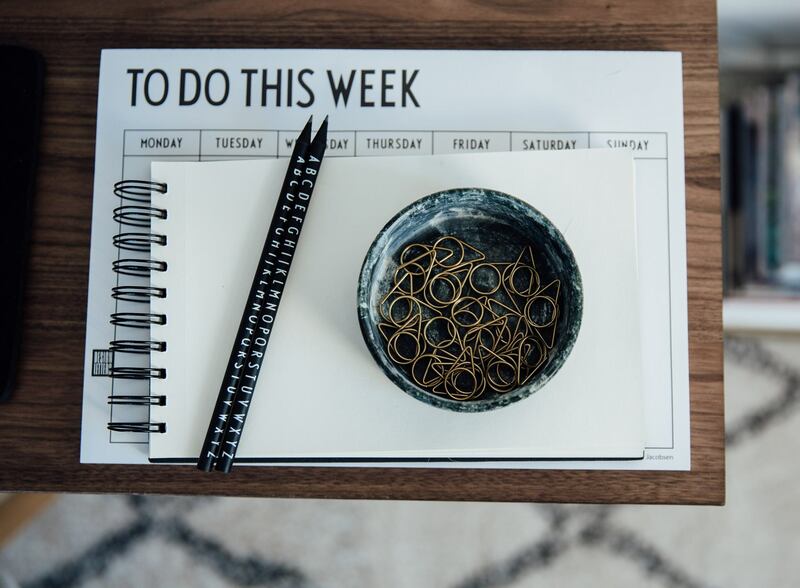 Do you wish to feel relaxed, energized, peaceful, productive, creative, artistic, happy, innovative, soulful, mindful, recharged, inspired… what ever words comes to your mind write them down. 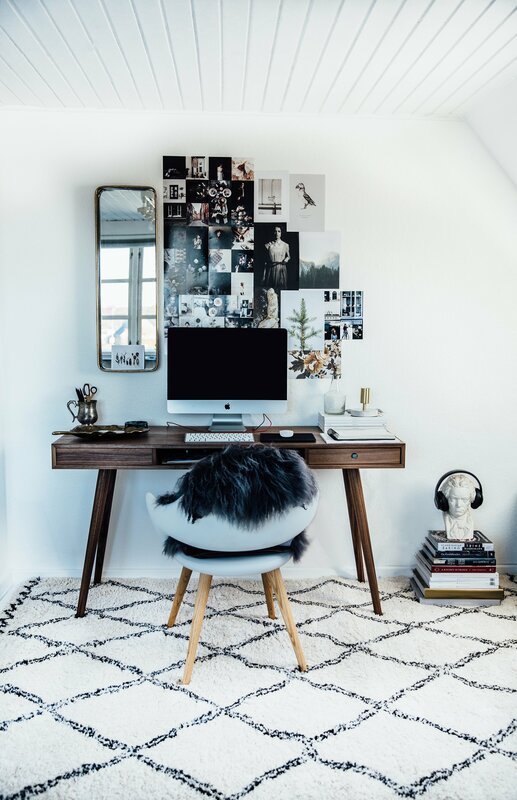 With the help of Pinterest make a moodboard with ideas for your dream workspace. 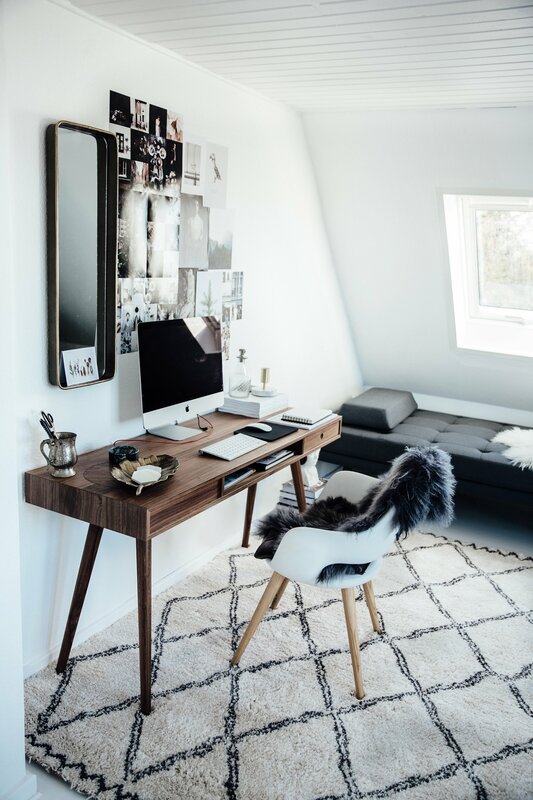 Don´t just pin all the workspace photos you find, only pin those that inspires you and evokes positive feelings in you. At the end look at your pinned photos and notice if there´s any “red thread”. What does all these photos have in common? Do they all have geen plants? Do they all have grey walls? Are the style simplistic, dramatic, bright or colorful? Now notice the colors in your pinned photos. What colors are mostly represented? Can you narrow in on 2 main colors and 3 sub-colors? The more you stick with your color palette when you start decorating the easier it will become to make all things come together nicely. Now, befor calm there´s chaos! 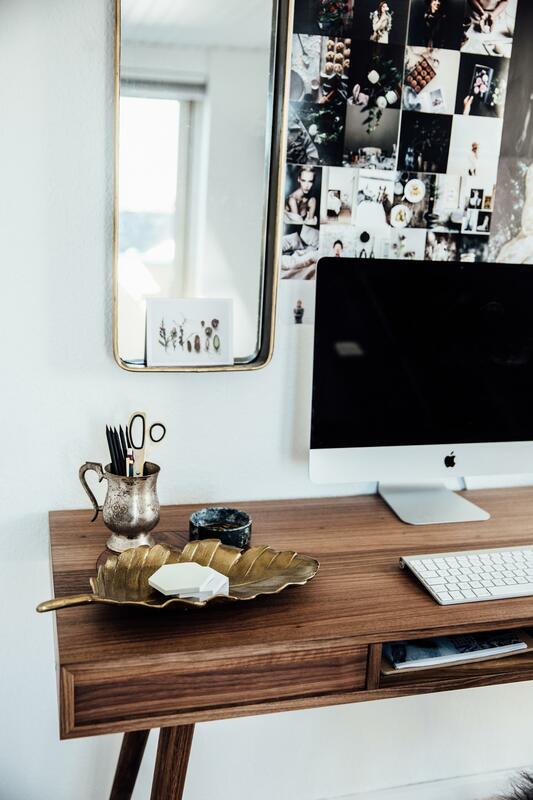 It´s time to clean up your current workspace. 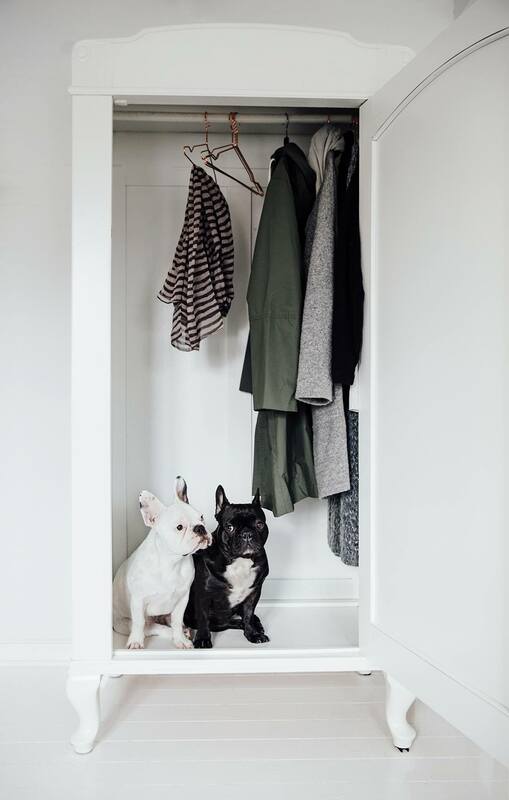 Get rid of everything that you do not need – especially piles of papers, old bills, junk, and stuff that has nothing to do in a workspace area (like piles of laundry, storage boxes, exercise equipment and toys – just to name a few). This is for many creatives a step that takes courage and energy. 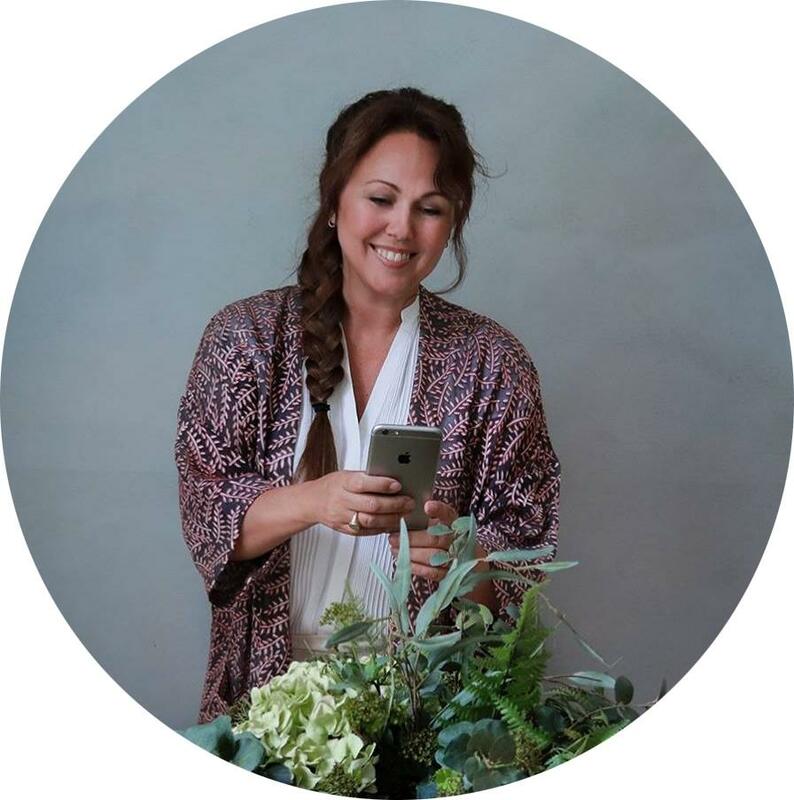 I´ve coached many creatives that has so much stuff and clutter that they do not know where to begin – so trust me, the key is simply just to BEGIN. Put on some great upbeat music, pour yourself a glass of champagne and get to work girl! Find a big plastic bag or a few moving boxes and start sorting things in three categories; 1). throw away, 2). give away, 3). keep it. It will be a fun process if you decide to make the best of it, and it will release SO much energy once it´s done. It´s healing for the soul to clean up and remove clutter. Look at your room and be honest with yourself. Does your workspace need a paint job? Most rooms needs new paint more often than we think. 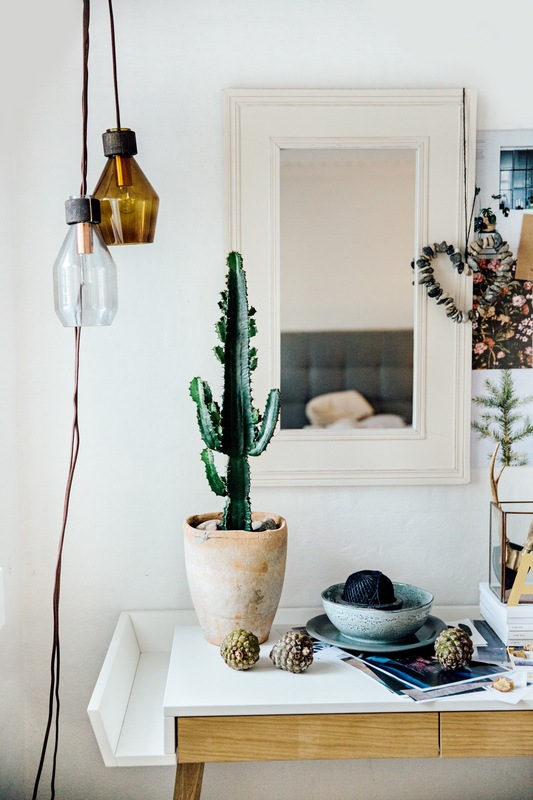 It´s perhaps also the fastest way to give your room NEW energy and a clean fresh look – even if you just paint the same color on top of the old one. I painted both the walls and the floors of my rooms and it took me a while to make the decision because it seems like such a big job to get started. But once you´ve emptied the room and start painting it goes very fast and the difference is well worth it. Okay, it´s time for another big decision; what furnitures to put in your room. Depending on your budget you have several options. You can re-use what was already in the room before – perhaps consider giving your table or chair new paint. 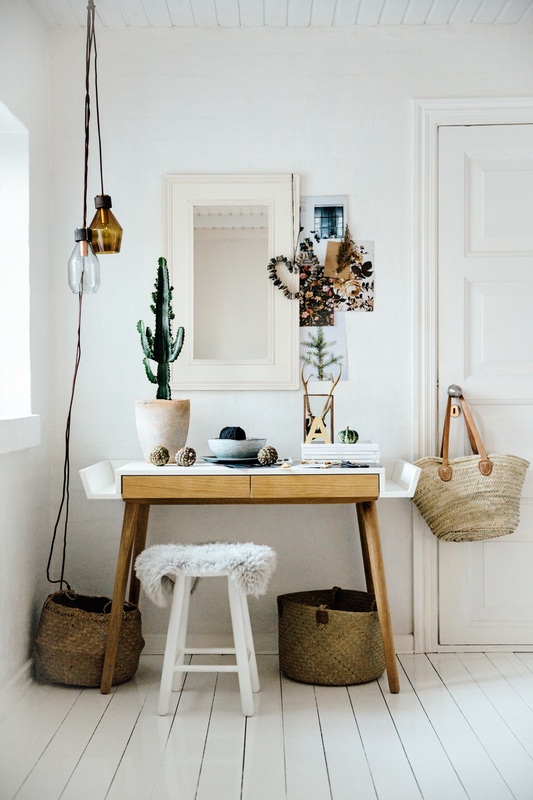 You can also shop for secondhand design or vintage furnitures – online or on local flea markets. The most expensive option is to buy all new stuff, but what ever your decision is I want you to take your time with this process. For me this is the most important phase, yet also frustrating because it can take a long time to find the exact thing I have in my mind, but it´s also a fun and creative process. 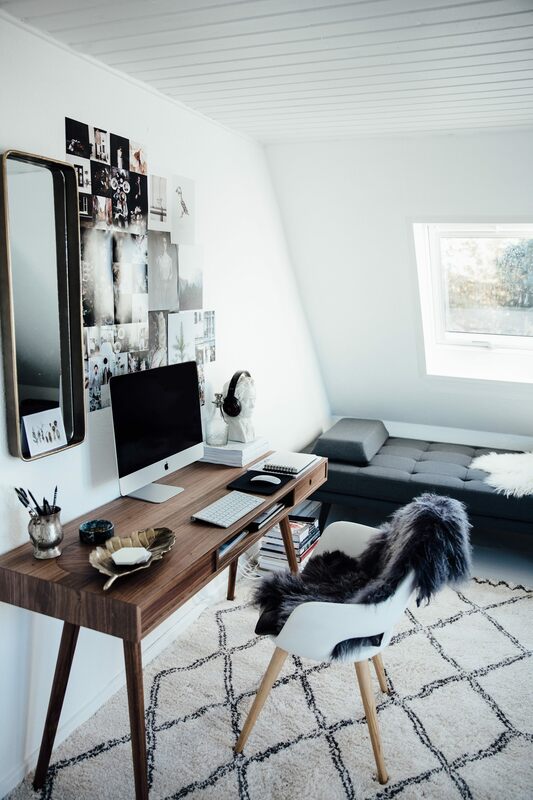 Now it´s time to consider what smaller things you wish to have in your workspace area. This includes everything from pillows, pens, headphones, art supplies, art tools, notebooks, wall decoration and so on. My suggestion is to ONLY surround yourself with things you LOVE and ADORE. I do not have anything in my work area that disturb my visual view – only things that inspires me and put a smile on my face. I like to have a closed closet for the less pretty office stuff that I need near me, like a printer, stack of paper, external hard drives, lenses, accounting related stuff and so on. I want it near me, but out of my sight. Decide what you need to put away, to keep your eyes happy. Don´t let your walls be empty space. Make a decision and choose something you love to look at. 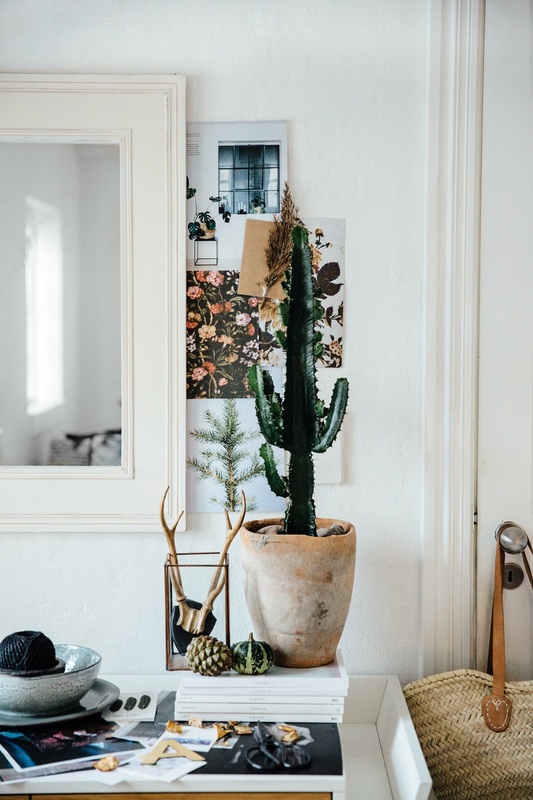 The possibilities are many; you can hang your own art work, art work of someone you admire, a mood board, a mirror, a poster, a flower wreath, a chalk board, funky wall paper, a white board or old records – whatever you desire but make it fun and creative! Last put not least, I want you to consider what I like to call “your happy details”. 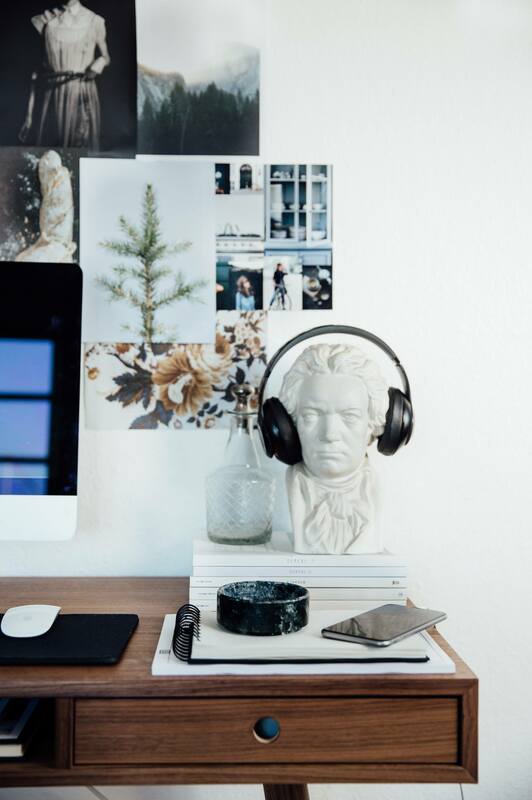 These are extra things that will make your workspace a pure joy to work in. For me this is a music player, my Beethoven statue and my golden leaf. 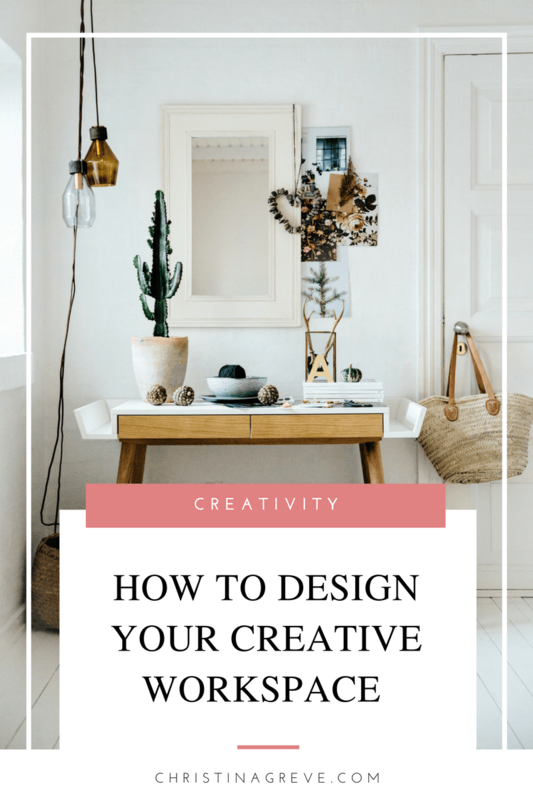 For you it might be a huge teddybear from your childhood, a diploma you once got, an award, a handwritten quote, a mini cooktail bar or a customized neon sign lamp – whatever will emphases your quirky creative side. Alright, that´s it. I hope you got some good ideas to get started with your own workspace project. If you liked this post, pin it or share it with your friends.